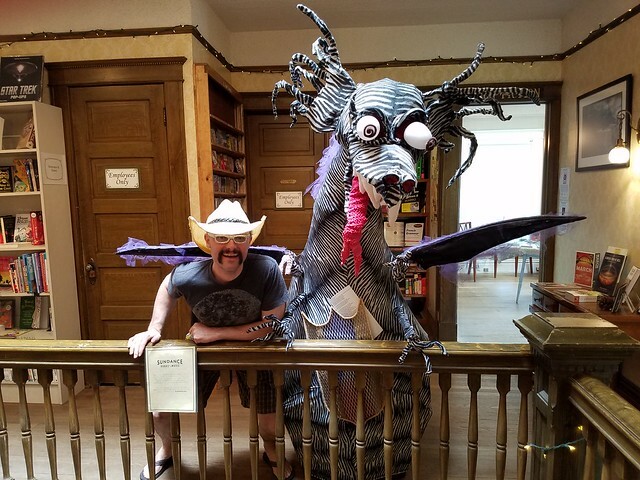 Reno was the first stop on our “Return to the West” research tour. Expectations were low from my childhood memories of Reno as a dusty casino town, but sources suggested that Reno had come a long way since the 80s and 90s, so we decided to check it out… And boy has Reno ever come a long way! 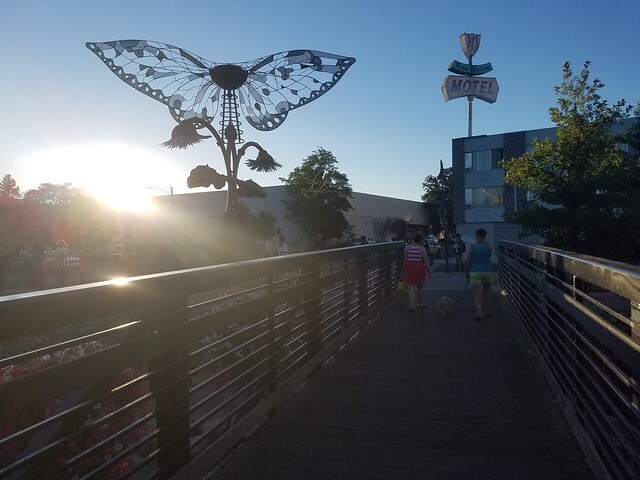 From a great food co-op and holistic wellness centers to multiple maker spaces, coffee shops and diverse food options, the culture of Reno is much more than slot machines and jet skis these days! 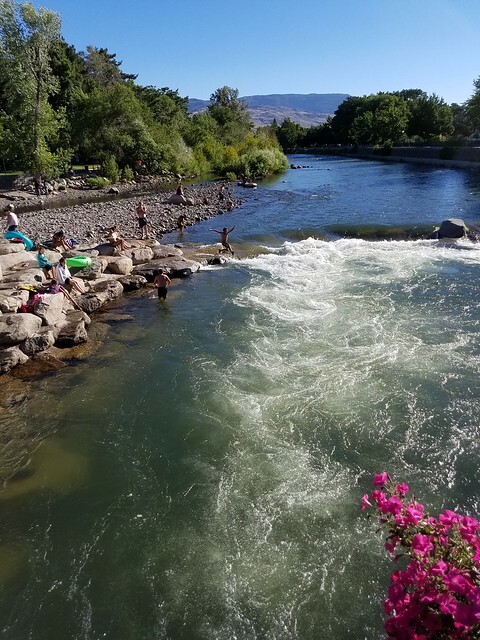 Whether it’s Crissie Caughlin Park where we landed in Reno, the large Ildewild Park, or the popular downtown Wingfield Park with its swimming hole and kayaking rapids, the parks along the Truckee River through the center of Reno offer a cool reprieve from the hot summer sun. 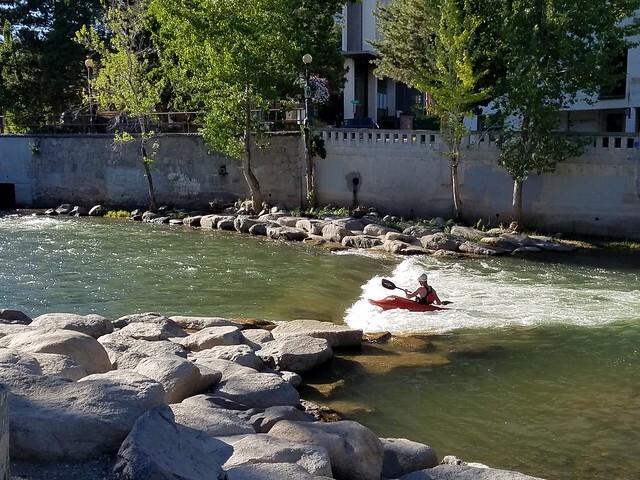 The city has done a great job connecting the parks with a network of bike lanes from Verde to Spanish Springs and furnishing racks of honor-system life-jackets along the river. 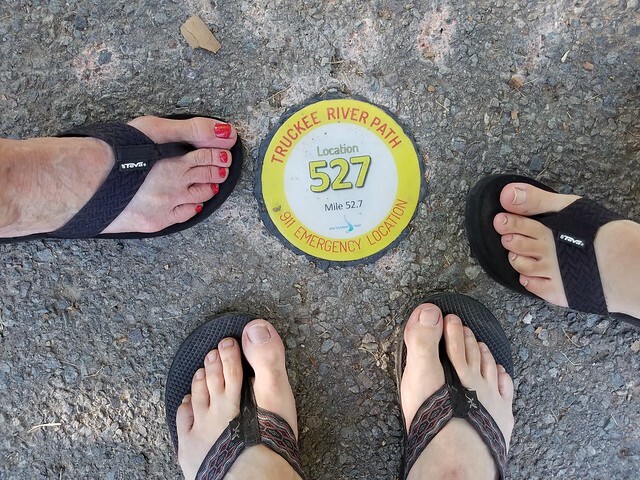 I may have been spoiled by a youth spent at the Yuba River, but it’s seems so refreshing to have a waterway in your back yard that isn’t a polluted wasteland like the East River. The idea of a working honor system is also a strange and interesting facet of this place. 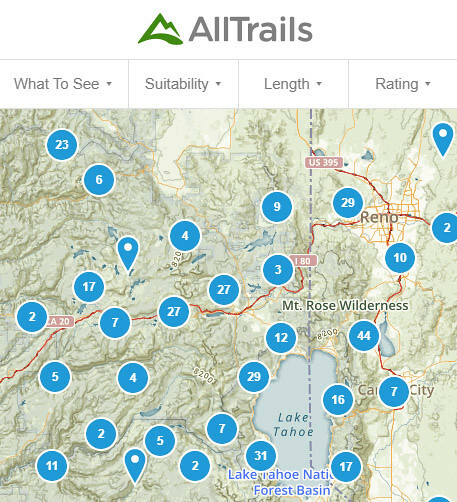 July is Artown in Reno. Music, dance, theater, food, you name it, it’s happening just about every night in parks and venues across Reno. 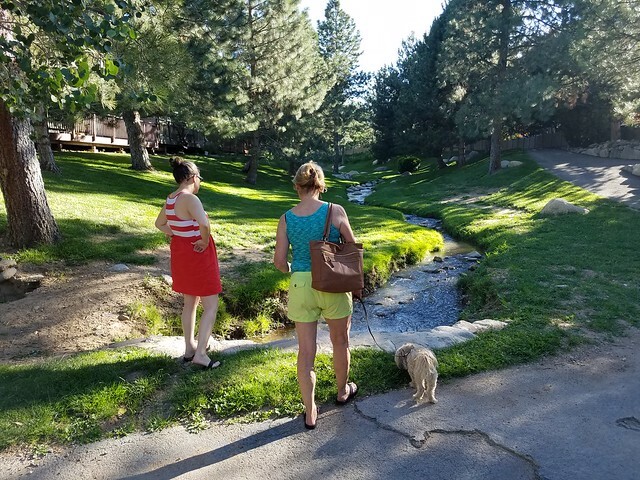 We were there for only a couple nights early in the week and missed most of the action, but it was quite nice to walk past local musicians and kids’ dance troupes in Wingfield Park as the sun set in the distance and the cool breeze from the Truckee washed away the heat of the day. We were super happy to find a great little food co-op smack in the heart of Reno. All co-opie goodness replete with smells of herbal fragrances and helpful, smiling folks in attendance. 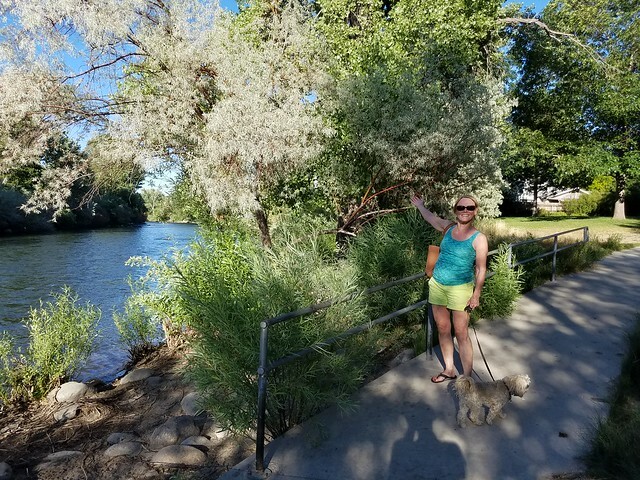 We even picked up a bottle of DEET-free bug spray, albeit the persistent breeze and dry climate in Reno seemed to keep the bugs at bay to a large degree while we were in town. 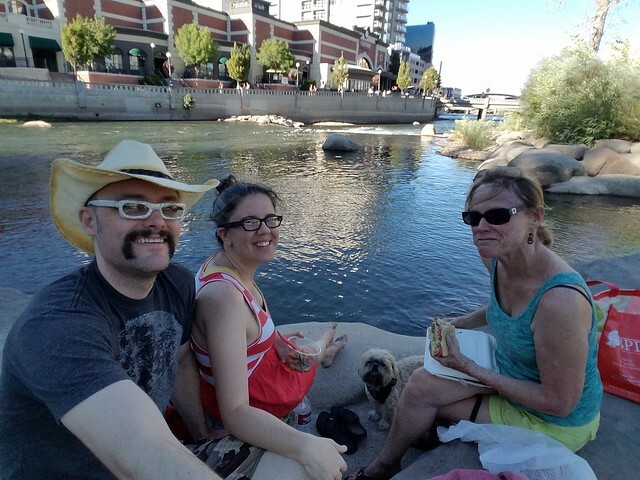 A lovely outdoor space next to the Truckee River with live music and good food and dog friendliness. The percentage of unopened mussels in my dish could have been a tad lower, but amortized by the overall experience, the overall investment was net-positive. 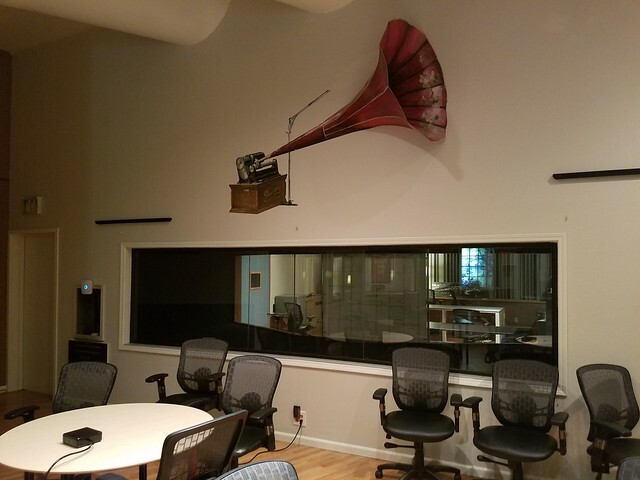 Reno Collective is a co-working space and hub of tech buzz in Reno. 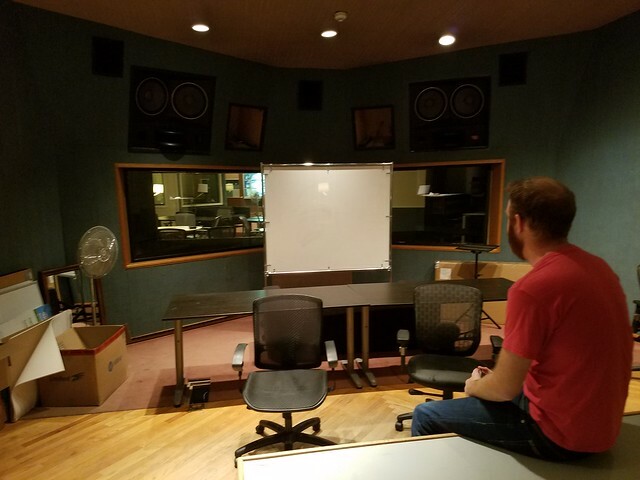 Taking over a space previously used as a recording studio for numerous iconic records, including the Dr. Dre album Chronic, it has great vibe and lots of interesting spaces for working, meeting and general gettin’ groovy. Chatting with founder Colin Loretz was a real pleasure and suggested a great collective future for the Reno tech scene. Just around the corner from Reno Collective and a great place for coffee and a post-collective-tour conversation. Like most places in Reno, the staff and clientele were super friendly. In the post-Amazon era, it was great to see a local bookstore with so much variety in the heart of Reno. 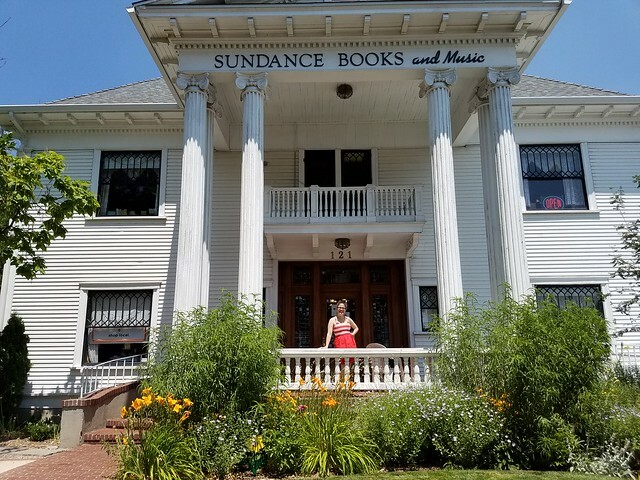 We may have taken a guerrilla approach to hiding an un-recommended birth book among the stacks, but it seemed the least we could do to give back to the community in the short time we were there. Great Full Gardens satisfied out greatest desires for a good lunch and even accommodated our need for uncooked dog (which could have been an issue for Mushu cooped up in the van on a hot Reno summer day). 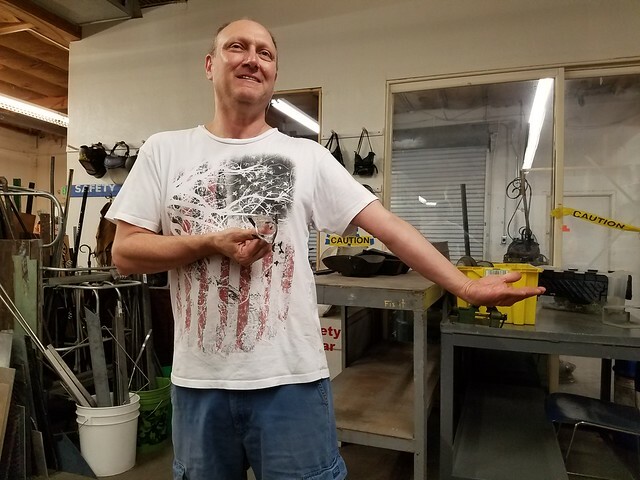 We were fortunate enough to find Eric Bradford, chairman of the Bridgewire Makerspace huddled over a project when we dropped by. 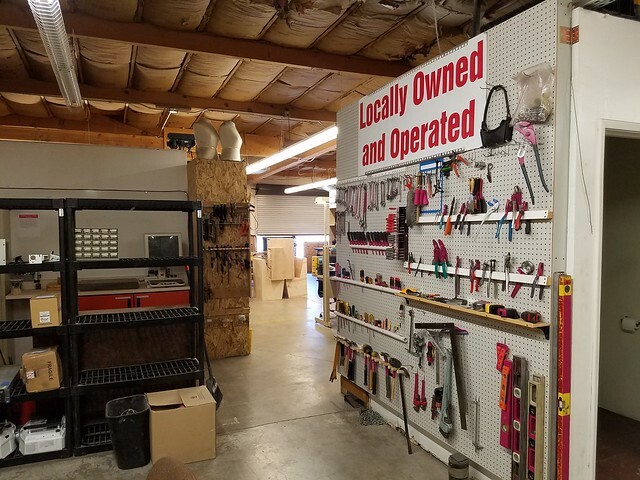 Bridgewire has all the fixin’s of a makerspace with a focus on creating and fixing up engineering tools to empower DIYers to change the world. 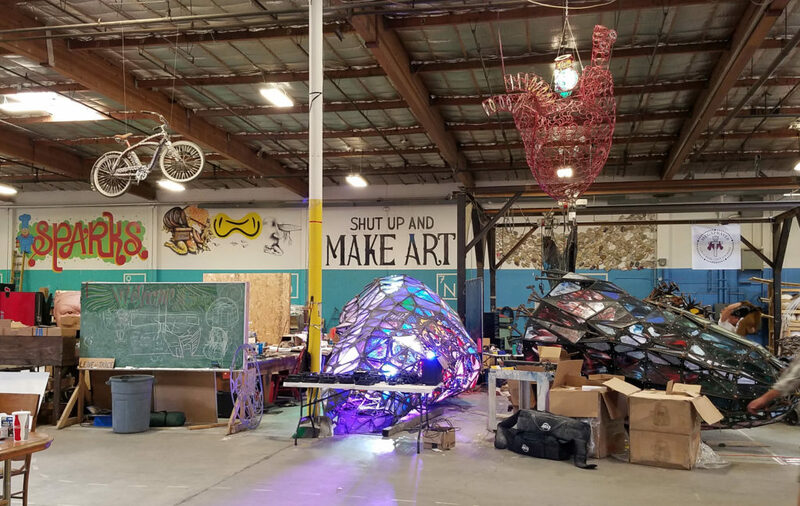 The Generator is an art focused makerspace that embraces the scale and ethos of Burning Man. I’m not 100% sure how rent on the ~34,000 square foot space gets paid with their everyone is welcome, no entry fees and no membership fees ethos, but I’m glad they do! 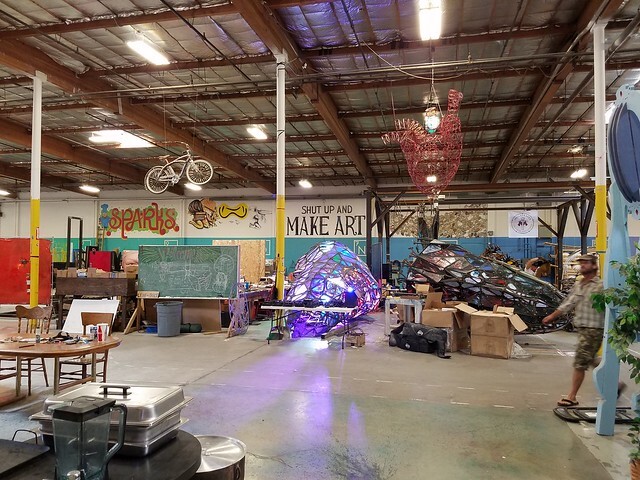 While we were there the CNC plasma cutter was blasting through sheets of metal and several other works destined for Burning Man were being assembled before our eyes. Yet other works that had already been to the burn were in the process of being recommissioned for permanent installation in Reno’s downtown. Davis Creek has a nice campground South of Reno. The campground is large enough that I wouldn’t recommend getting there after dark unless you prefer getting lost driving in circles instead of counting sheep.